I’ve had this post planned since last September but for some very odd reason I am only posting it now. Maybe I found it too cold to have a fruity beverage? Any who, rather than just throw fruit into a blender I also tend to lash in a few ice cubes, frozen fruit, and a little dose of juice into the mix. That way I find that the ice cubes makes the texture a little more ‘slushy’ and the juice makes it a little less, I don’t know, lumpy? But if you have any other tips on how to make your smoothie the perfect one then please do drop your comments below (I need to know your secrets). This January I have been really into my exercise and upping my fruit and vegetable intake has been extremely important. 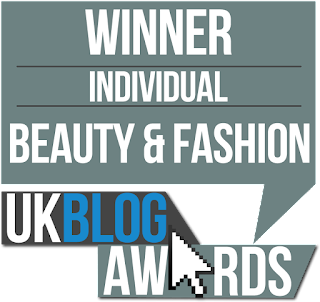 Although I’m not fussy when it comes to eating fruit and vegetables, I do know that drinking smoothies will help to hide the taste of those fruit and vegetables that you do not like (as I have learnt from Beky Lou). Nevertheless it’s the perfect way to sneak in your five a day. Below are some of my favourite collaborations that I enjoy to make on a weekly basis. It is not difficult to make smoothies as all you will need is a blender, your choice of ingredients, and some funky cups and straws to drink out of (but really any cup will do). 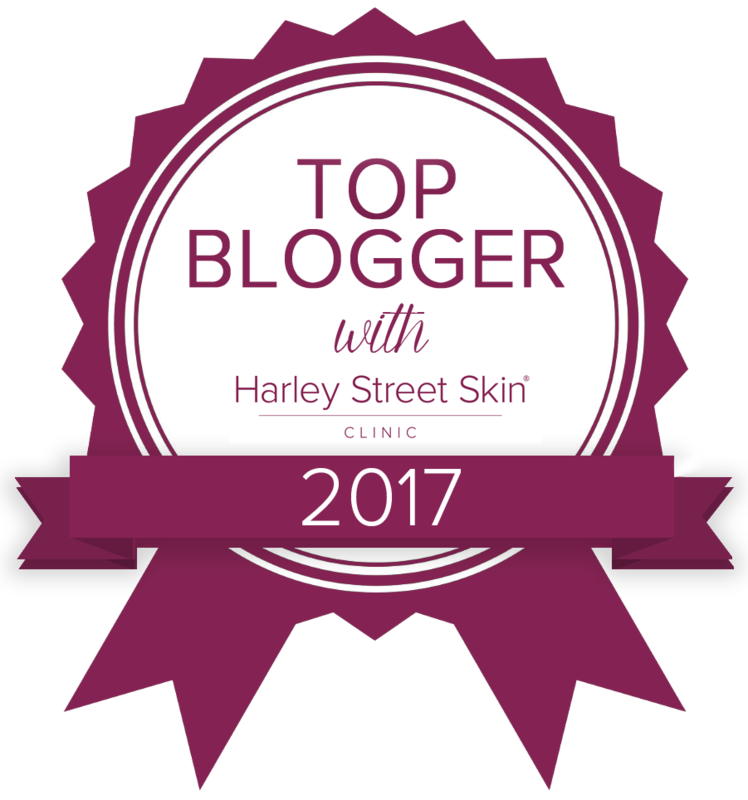 Do let me know your favourites, I am always willing to try out new ones! Berry Smoothie: frozen strawberries, blackberries, raspberries, and blueberries (to get that slight slushy texture) combined with fresh strawberries, blackberries, raspberries, and blueberries, topped with a bit of orange juice. This one has to be my ultimate favourite! 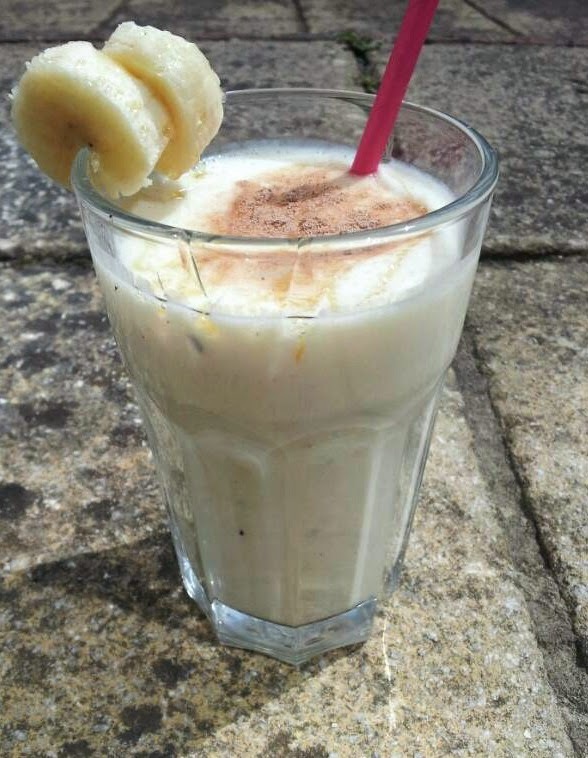 Banana Smoothie: x2 riped bananas, 1 tsp of honey, unflavoured yoghurt, 1/2tsp of vanilla extract and x2 icecubes. Make sure that you blend until thick and add a little dusting of chocolate on top to make it that little more appealing. 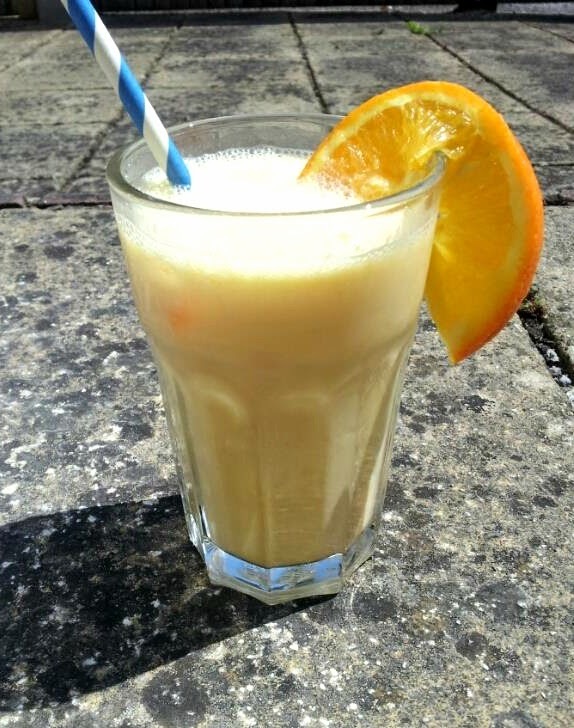 Orange & Banana Smoothie: x1 large banana, peeled and ideally from frozen, x1 large orange, peeled and ideally from frozen, a cup of orange juice, 1/2 cup of plain yoghurt, 3 icecubes, and a tsp of honey. I would say that this smoothie was my least favourite as I didn’t like the yoghurt and orange combo. 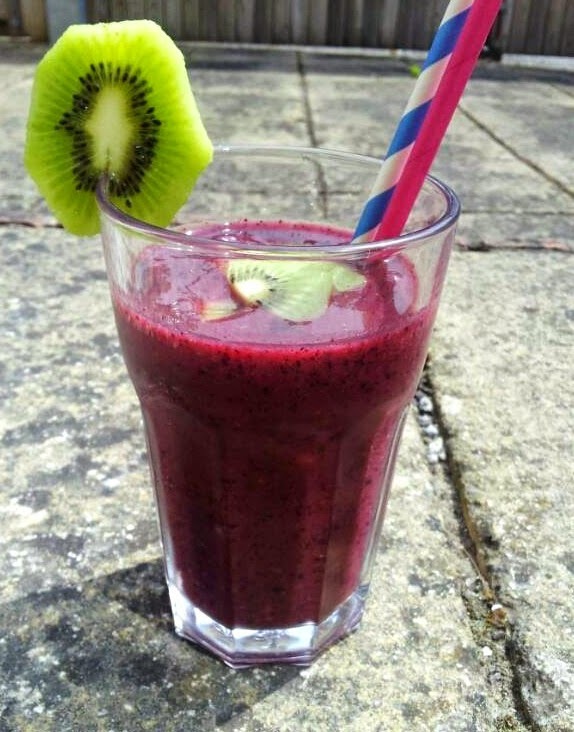 Kiwi & Berry Smoothie: AND IT IS ABSOLUTELY DELICIOUS! x2 fresh kiwis (peeled), frozen blueberries (for that slushy texture), fresh blueberries, blackberries, and little bit of orange juice (if you don’t like it too thick). 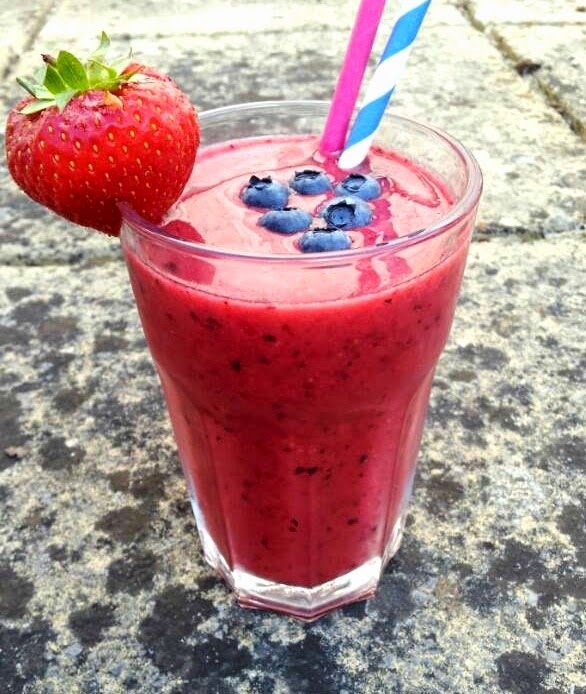 This smoothie has to be one of my ultimate favourites too! 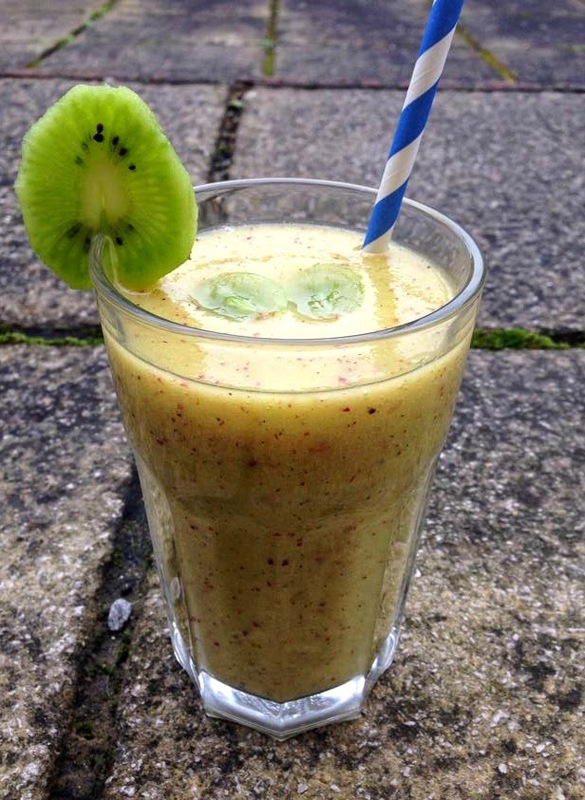 Kiwi, Grape, & Peach Smoothie: This combination does sound rather odd however, it is surprisingly delicious! All you will need is x2 kiwis (peeled), fresh grapes, chopped up peach (doesn’t have to be peeled), and some grape juice for texture. If you are a berry lover like me you will also like this one too. So these have been the smoothies that I have been trying out recently. I would ideally like to try out some vegetable based ones (like spinach for example) but for some reason I have a slight fear of trying them (yet I’ve heard that they are very nice). So please drop your suggestions below and I shall no doubt be blogging about vegetable based smoothies soon (eek).